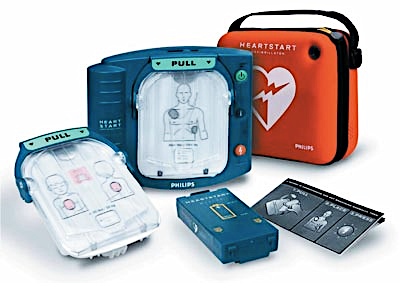 Please carefully review our policies and disclaimers regarding the purchase(s) and use of our AED Service Package. 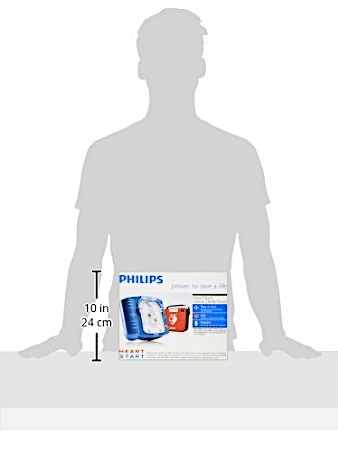 What is the Philips HeartStart Home Defibrillator indicated for? 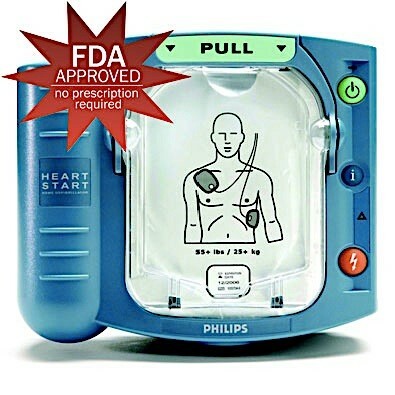 It is used to treat victims of sudden cardiac arrest who are unresponsive, not breathing or short of breath, and/or pulseless due to a catastrophic shockable arrhythmia (mostly Ventricular Fibrillation). 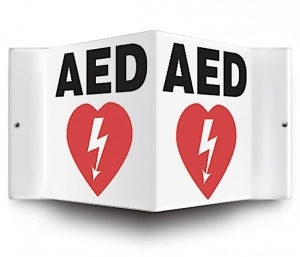 The intricate and normal electrical signals of the heart malfunction, which leads to a quivering of the heart and a subsequent decrease in the heart’s cardiac output that is needed to sustain life. The Philips HeartStart Home Defibrillator can deliver the lifesaving shock to the heart in conjunction with CPR to increase the survival rate from a sudden cardiac arrest before emergency medical professionals arrive at the scene. 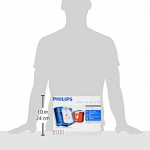 Contact Philips about the availability of additional languages. 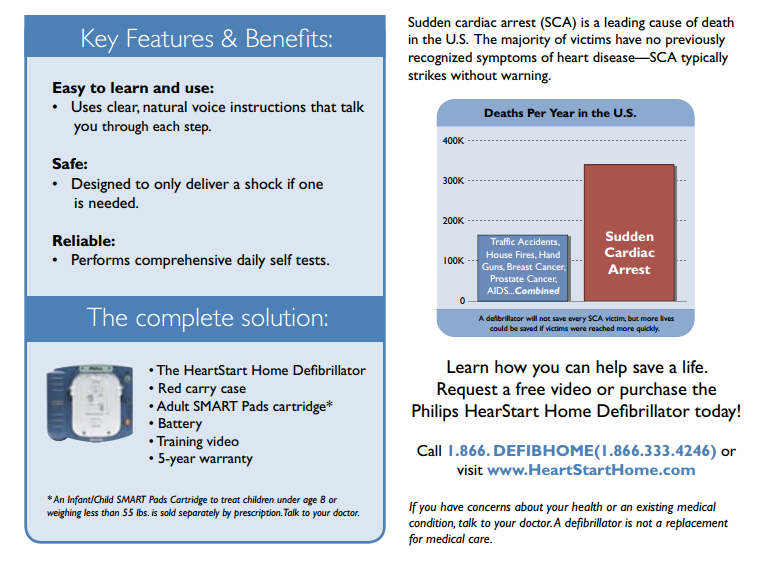 A Support Program Enrollment Card is also included. 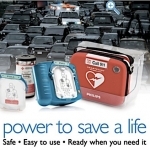 If you’d like a copy of the manufacturer’s warranty for a product found on the PDRE website, you can contact the manufacturer directly or visit their website for more information. 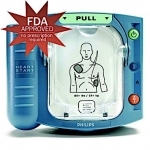 Manufacturer’s warranties may not apply in all cases. 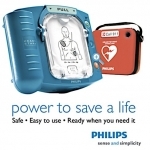 Please review the warranty carefully, and contact the manufacturer if you have any questions. 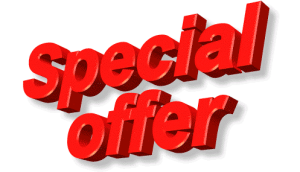 Prices and Times: PDRE domestic mailing and shipping prices and times to the contiguous United States may be subject to change. 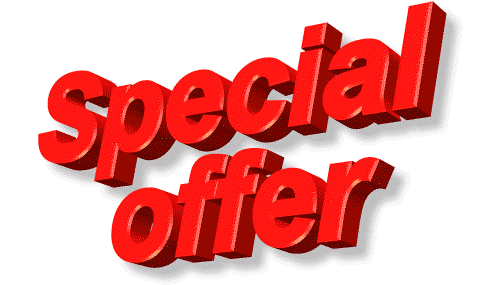 To find out how much it costs to ship to your business or home, please call our PDRE main office. 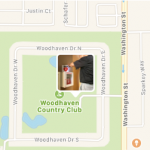 For your reference, your order will usually arrive within these delivery estimates based on your location and selected shipping speed. 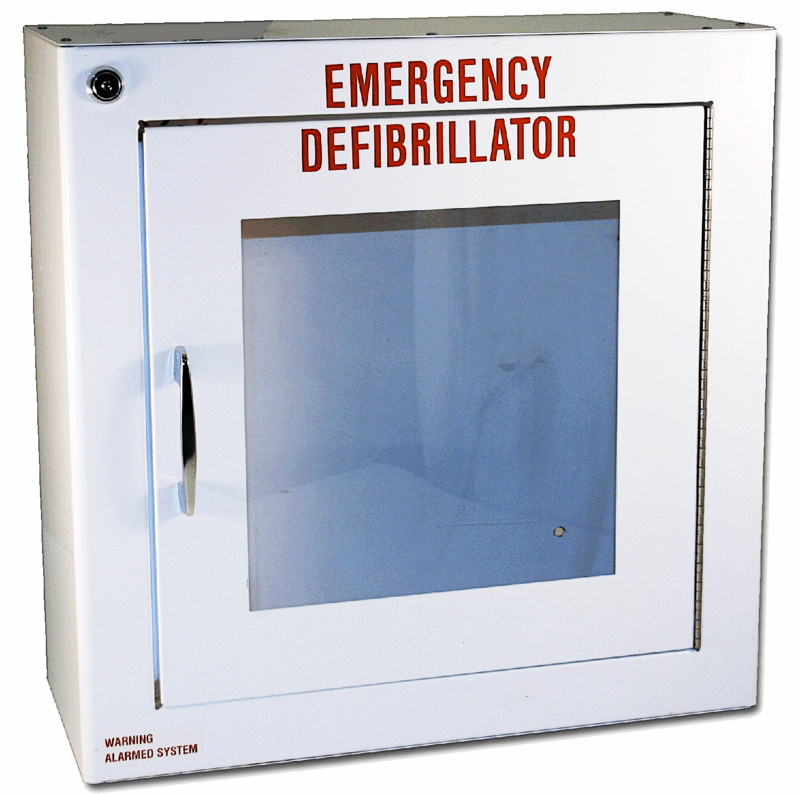 Due to federal and international regulations, this product can only be shipped within the continental United States. 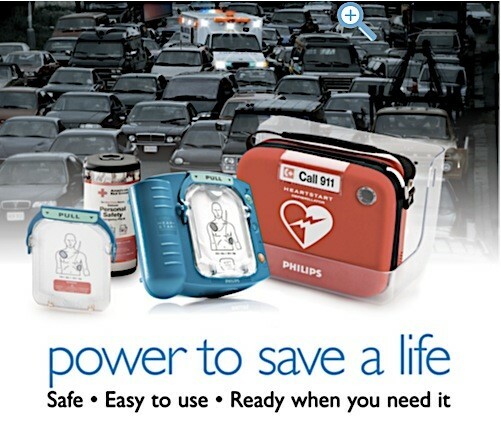 If you still have questions, please call Philips at 1.866.DEFIBHOME (1.866.333.4246) or send them an e-mail. 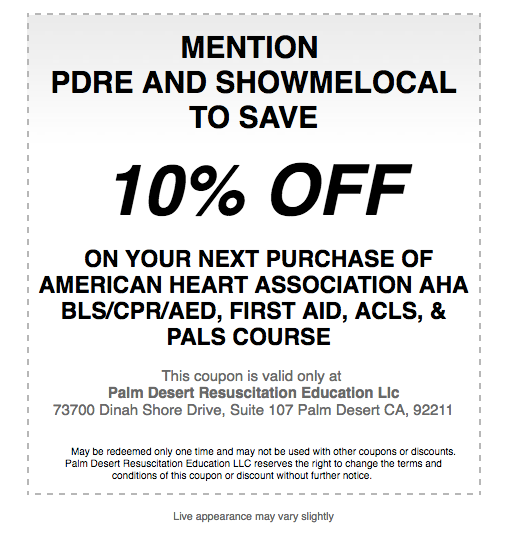 Please review the Palm Desert Resuscitation Education (PDRE), LLC disclaimer regarding the purchase and use of AEDs. 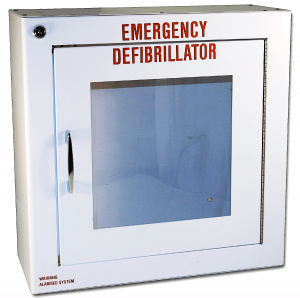 3D signs, projecting 45° from the wall, provide optimum viewing from the front and sides. 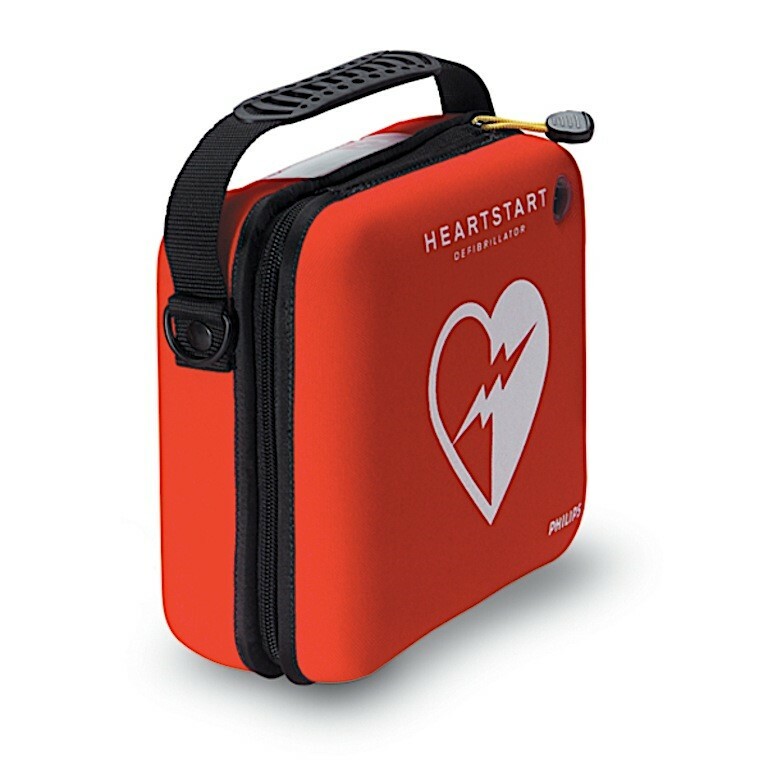 This is an optional purchase for a monthly AED service support that offers maintenance and basic monitoring to assist new and existing public access defibrillators. 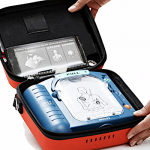 It may cover all readiness bases, which include site assessment, AED inspection and testing, AED pad and battery monitoring and replacement, to CPR and AED awareness and education. 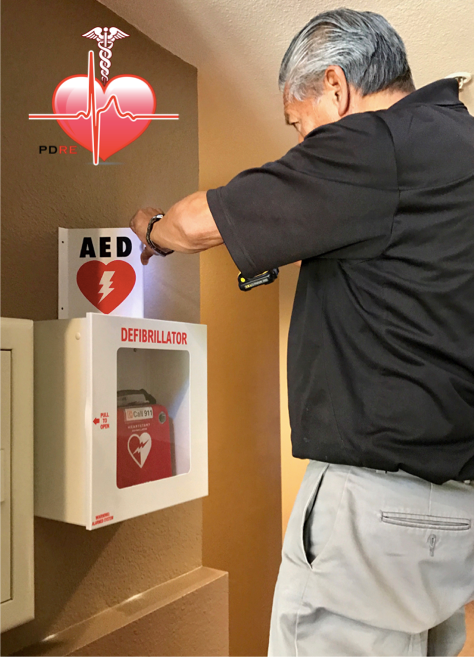 Requested services from a purchaser must give PDRE’s staff at least one week in advance to schedule an appointed date, time, and other pertinent information for the AED service support. 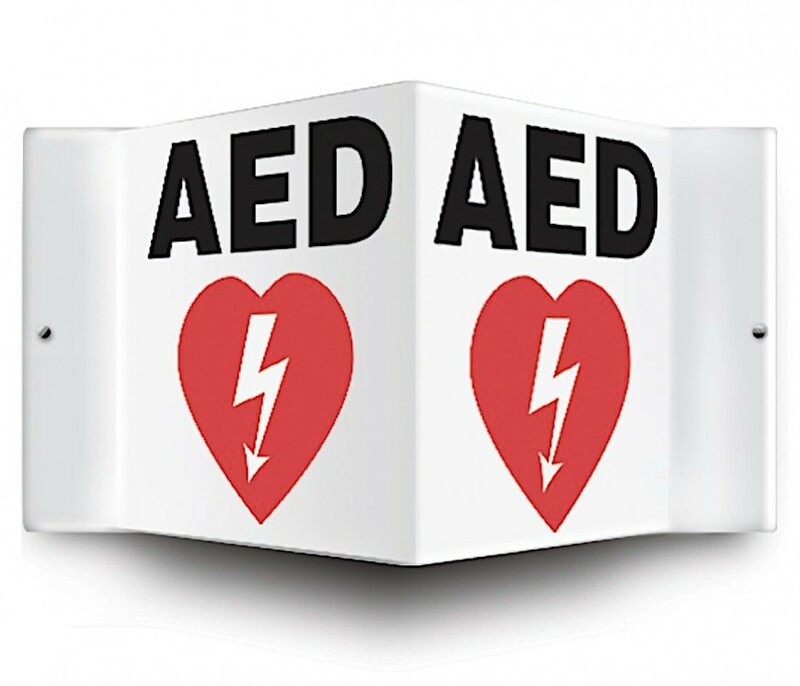 We will contact you if it takes longer than one week to schedule your requested AED service support including the AED Education Program. 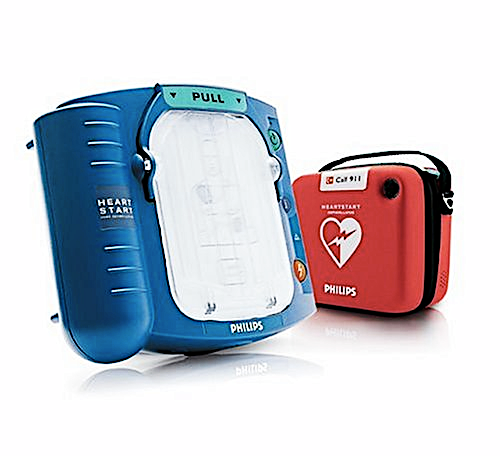 The final responsibility for a location’s public access defibrillator plan lies with the AED’s owner/end user. 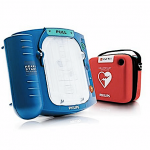 The AED’s owner/end user must only use PDRE’s monthly AED service support as guidelines to their location’s public access defibrillator plan. 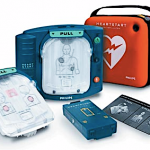 Education is one of the most important aspects of having a successful public access defibrillator plan for your business or home. 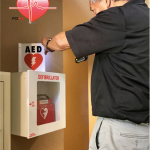 With the purchase of PDRE’s monthly AED service support, the purchaser is entitled to a complete range of American Heart Association (AHA) certification classes for all skill levels. 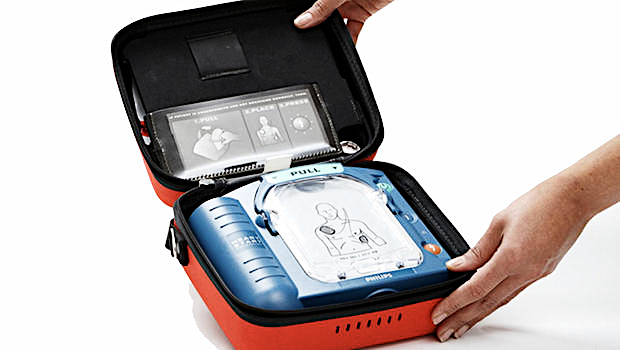 Number of classes depends on the size of the AED Education Program and location of your business or home.